Buy, Sell and Trade items, gold and accounts from Popular MMO/MMORPG games here. Buy sell trade csgo skins, wow gold, fifa coins, fifa point accounts, lol gold, lol skins and much more. 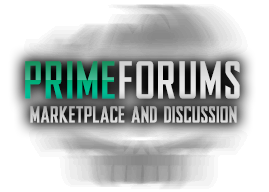 This forum is for all Minecraft related sales. Buy and Sell WoW Gold, accounts and boosting services here. Eve online gold, Wildstar gold and much more. Buy and Sell CSGO items and CSGO accounts here. Including CSGO skins, CSGO guns and CSGO items.